We made this tonight and it was AWESOME! Great recipe. I'm sending the link to all my friends and family! 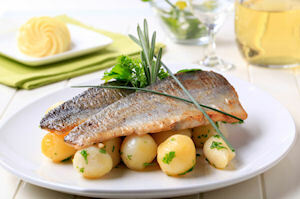 I and my husband love trout fishing, so I am always looking new trout recipes. Since the trout in my freezer were whole, I marinated the fish inside and out then baked it in the oven. I and my husband loved it, this will be my new go to trout recipe.